Learning to read is so much fun and we love to find ways to make it even more fun to get Ethan to the next level. One of the techniques that he loves to do for sounding out words is 'robot arms'. 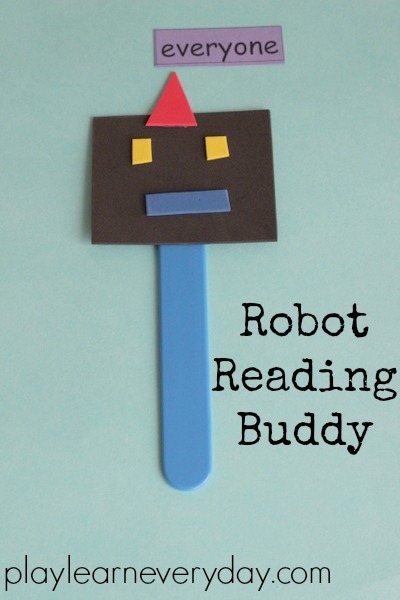 It inspired us to make a little robot reading buddy for Ethan to use while he reads. We made it by using a popsicle / lolly stick and assorted colours of foam sheets. We cut the sheets into a square shape for the robot's head, a rectangle for the mouth, small squares for the eyes and a triangle for the pointer on its head. We glued all of the pieces together and left it to dry before starting our reading practice. Now Ethan can use his reading buddy while he's reading books to follow along with the words as well as with individual words to sound them out. It helps to keep his spot as well as reminding him to use his robot arms for tricky words to sound them out. His reading is coming on fantastically well but we've reached a bit of a plateau with some of the digraphs and tougher sounds and this has really given him a boost. 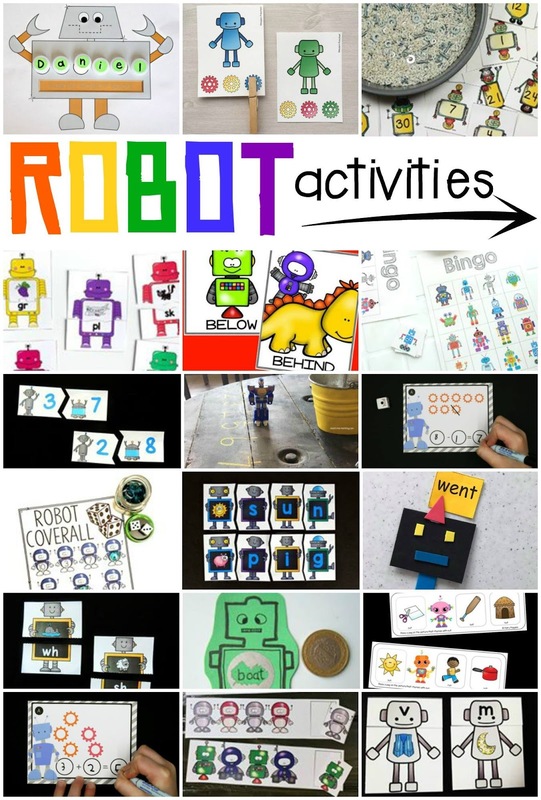 Robot Sensory Writing Tray // Fun-A-Day!